PANA Brand 10oz. 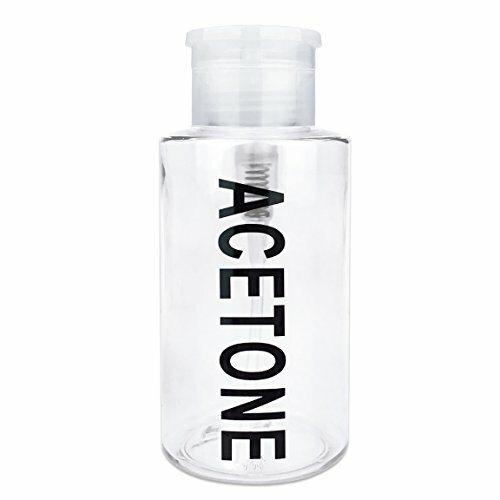 (Quantity: 1 Pieces) Acetone Labeled Liquid Push Down Pump Dispenser Bottle (Clear) by PANA at In The National Interest. MPN: MJ-10ACE. Hurry! Limited time offer. Offer valid only while supplies last. • Pana Brand 10oz. Push Down Acetone Labeled Dispenser • Can also be Used to Hold Acetone, Cleansers, Nail Polish and Makeup Remover, and More! • Can also be Used to Hold Acetone, Cleansers, Nail Polish and Makeup Remover, and More! If you have any questions about this product by PANA, contact us by completing and submitting the form below. If you are looking for a specif part number, please include it with your message.